ICANotes is the premier EHR for the behavioral health specialty. We work with all clinical disciplines in both outpatient and inpatient settings to deliver the most clinically robust and intuitive charting solution for this specialty. The increasing complexity of the healthcare environment has made their job harder and more stressful than ever. They are spending too many hours creating documentation. They have no peace of mind that their documentation will pass regulatory scrutiny, and they may be faced with paybacks should they be audited. 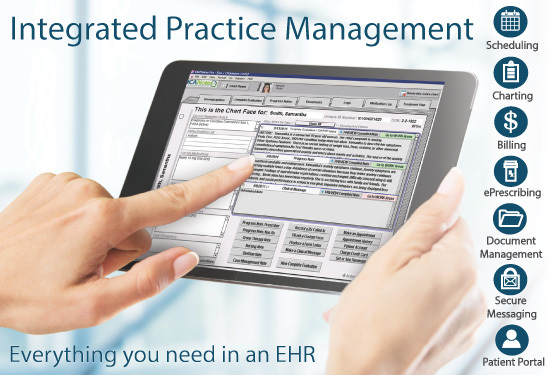 They are frustrated by the expense and turnaround time of transcribing clinical dictation. They are losing revenue because notes are being under-coded or claims are being rejected. They are searching for an integrated behavioral health software solution that combines charting with electronic billing and practice management. A mature product, ICANotes offers the only 100% fully templated EHR available for behavioral health and addiction treatment. ICANotes is ready out of the box to make your behavioral health documentation quick, comprehensive, and sophisticated enough to meet the most stringent of standards. ICANotes requires very little training because it is highly intuitive and has a clinically logical chart-centric workflow. It was developed by clinicians with a deep understanding of behavioral health.